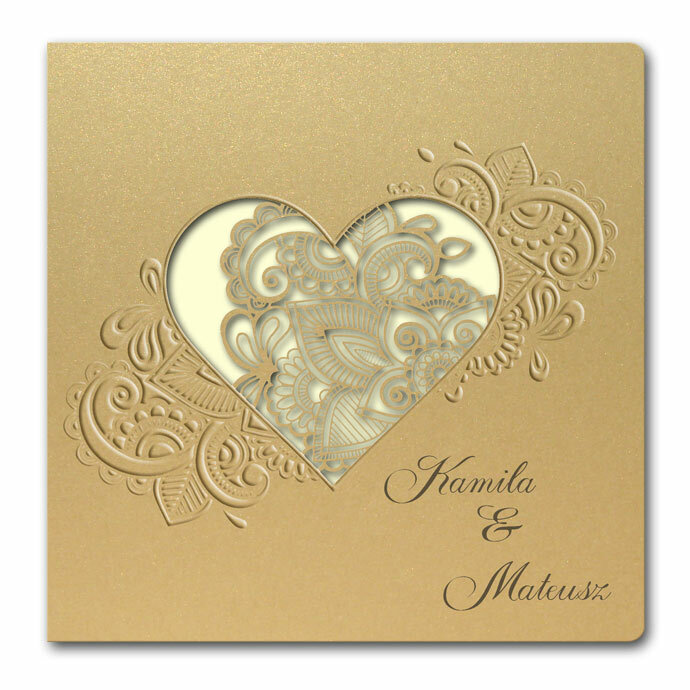 The cover of the invitation is gold, with laser cut hearts. 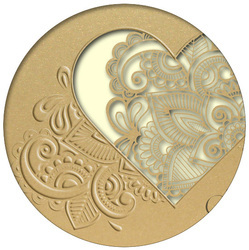 Inside the hearts there is a lacy floral motif. 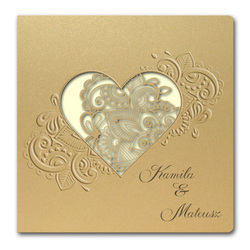 It is additionally decorated with embossed motifs. 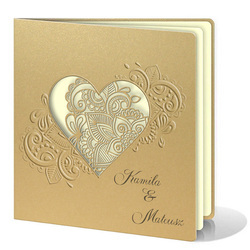 The names of the bride and groom are printed on the cover.